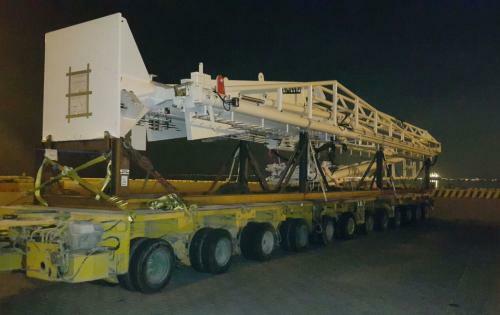 The Turk Heavy Transport team has recently completed the successful transportation of 2 units of marine loading arms from Khalifa Bin Salman Port to Gulf Petrochemical Industries in Bahrain. 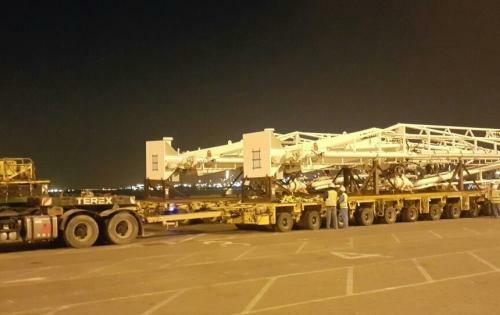 Each marine loading arm weighed 33.7tns with dimensions of 26.20 x 2.87 x 3.52m. Turk Heavy Transport were responsible for the survey, permissions, escorts & transportation. 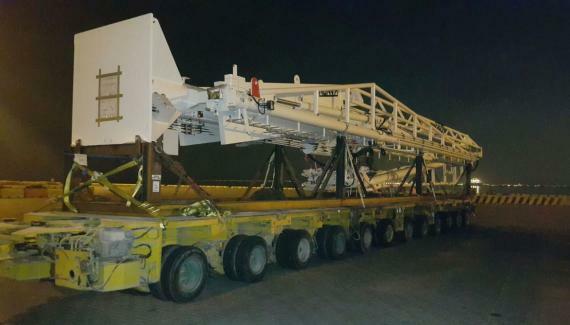 This movement is another example of the reliability and safety offered by Turk Heavy Transport for any kind of heavy lift and oversized projects.